October is when fall colors really come to life. You see them in nature, home decorations, fashion, and of course makeup. Fall brings in jewel tones, dark browns, and bold, dramatic, black. I love changing up my makeup routine when the weather changes and the biggest way to make a difference is simply by changing up the eyes. 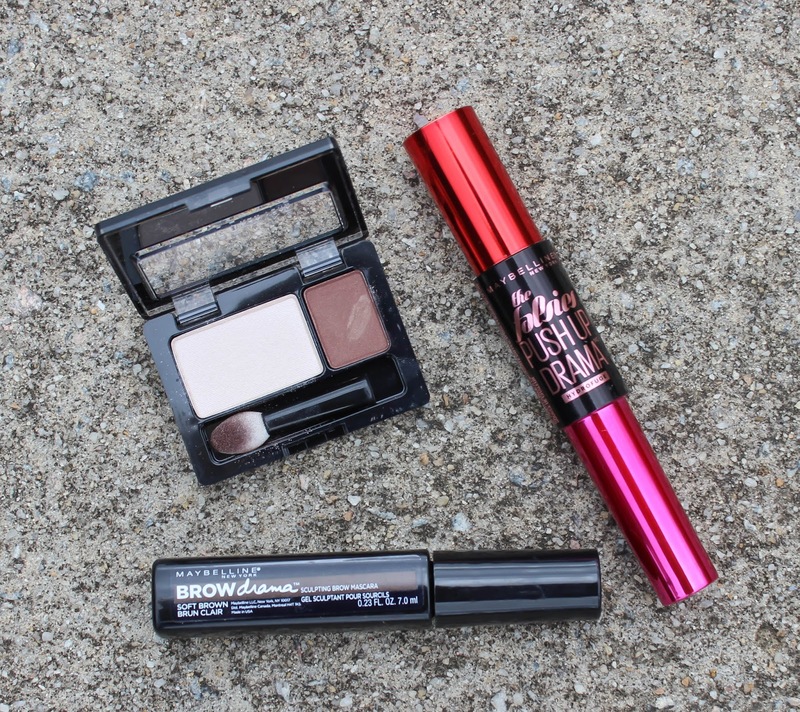 Autumn-colored eyeshadows and eyeliners, bold eyebrows, and Maybelline Falsies Push Up Drama Mascara are the perfect base around which to build a fall makeup routine. My go to fall eyeshadows are purple-toned ones. Purple tones are especially well-suited for those of us with brown eyes, but are perfect for pulling out the tints of eyes of any color. I use Maybelline’s Expert Wear Eyeshadow in Indian Summer which features a lighter purple shade and then a darker brownish-purple shade that is really gorgeous. I start by covering my lids in primer. Then I dust the lighter shade over the entire lid as a base, and use it in the inner corners of my eyes and to highlight my brow bone. 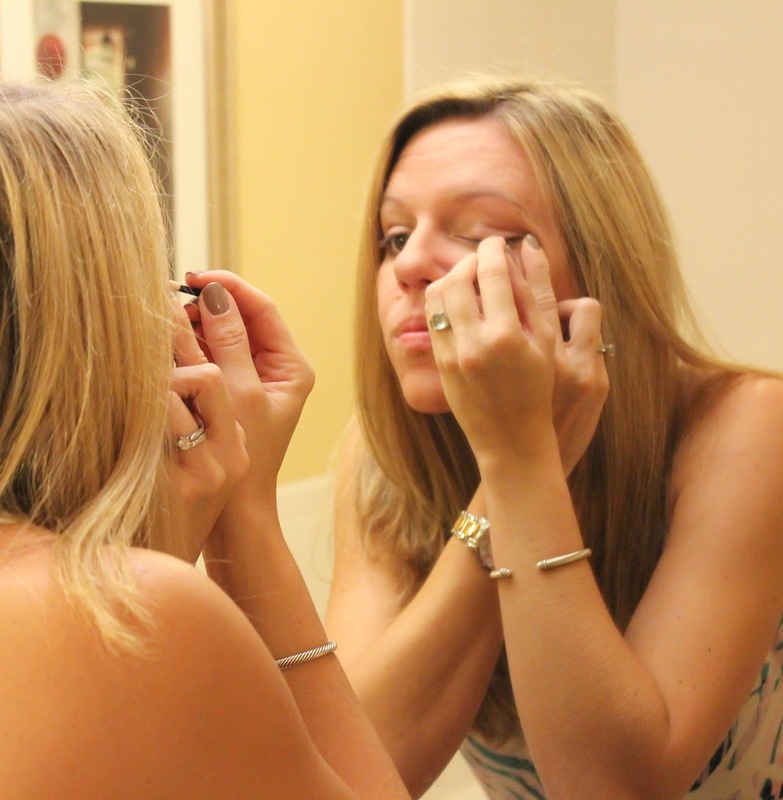 I then dab the darker color into the crease of my eye, and blend really well using a brush. 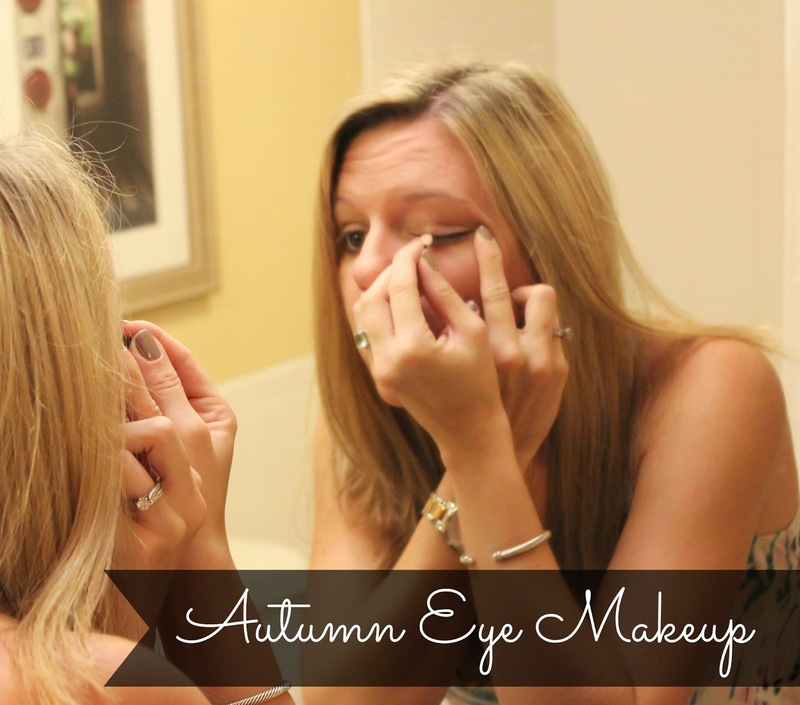 In the fall I love to use eyeshadow colors to line my eyes instead of eyeliner. To do this I wet the sponge applicator that comes with the eyeshadow, and make sure I get a good coat of the darker color on the tip of the sponge applicator, and carefully use that to line my eyes, making sure I keep it wet so that the color is bolder. Big, thick eyebrows are totally in style right now. I’m not going too bold on this front but I do love the look on other people. To add some effect I use Maybelline’s Brow Drama Sculpting Brow Mascara on my eyebrows which adds some color and fullness to my eyebrows while keeping them in place all day long. 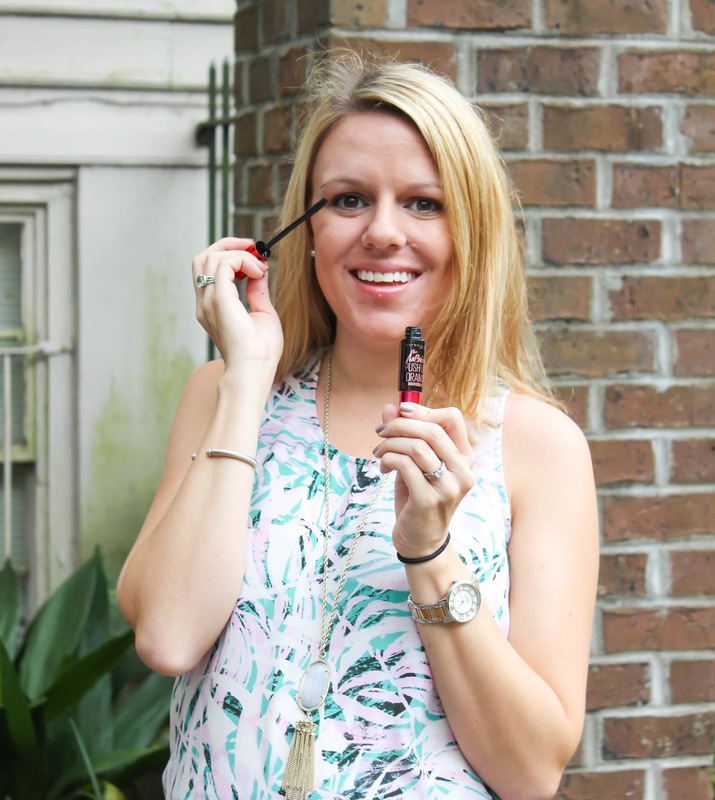 Last but not least is the one makeup I can’t leave the house without – mascara! For the dark black, bold lashes I’m going for this season I turn to Maybelline Falsies Pushup Drama Mascara. This is the world’s first mascara to deliver the dramatic volume of a 45 degree lift and have a push up brush with cup-shaped bristles that scoop, coat, and lift lashes. Because of the creamy, plumping formula this mascara coats on effortlessly for a dramatic look. 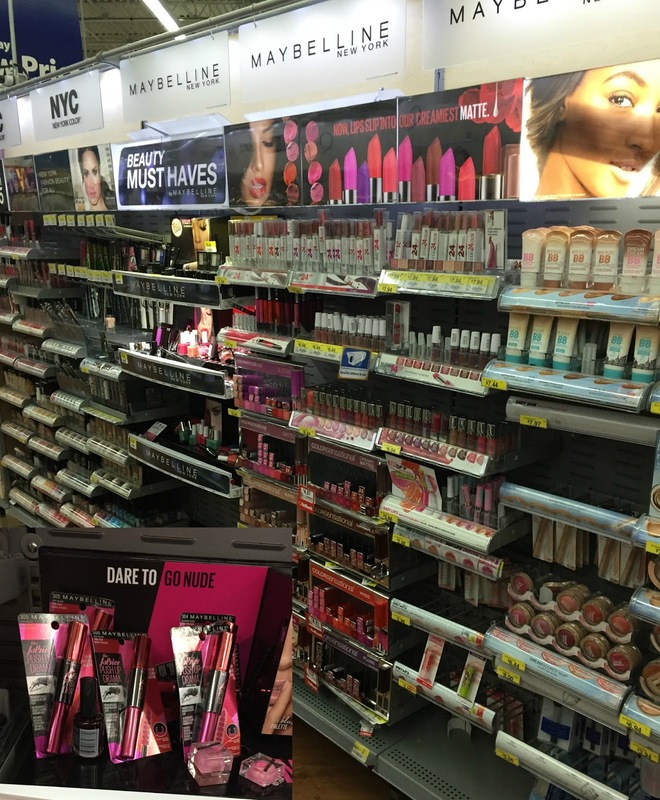 I buy all of my Maybelline products at Walmart in the cosmetics section! Check out Maybelline for all kinds of stuff to help get your fall makeup on point! What do you do to change up your look for fall? I haven't used the falsies push-up yet, but I'm very hesitate to. 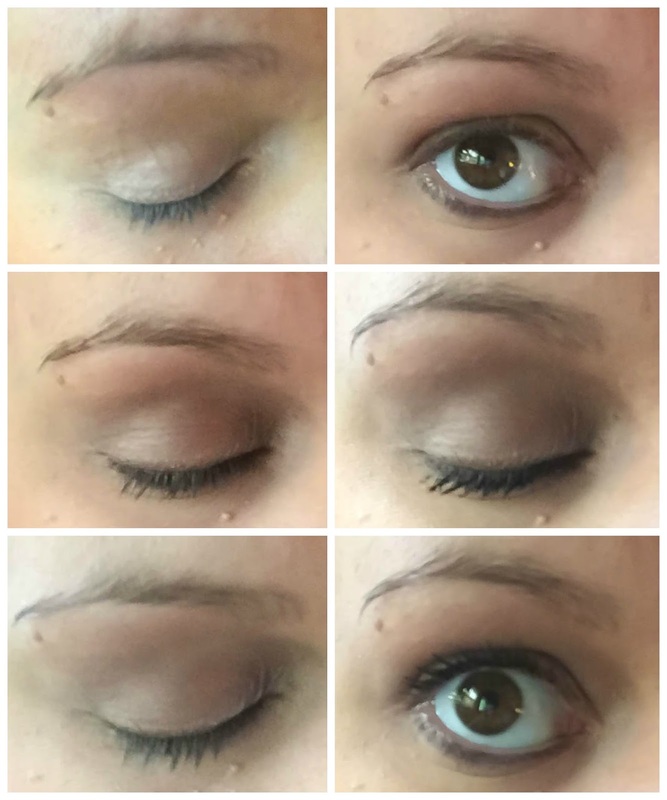 I've tried the original falsies and it didn't work at all! I love how you did your eyes .Great colors for Fall. I've never tried Maybelline, but that mascara sounds cool . You did your eyes so pretty! You are looking good as always! Thank you for sharing your make up tips!! Those are cute colors for fall!